Recorded on the walls of a decrepit boathouse on Emory Cove (see photograph) is a history of regattas with the dates and names of the victorious and their boats dating from 1899. 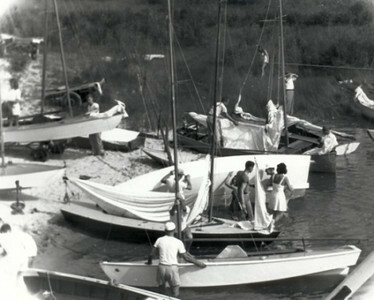 This small group of youths comprised wha t was then known as the "Corsica Yacht Club," the precursor to the present day CRYC. A yacht club reminiscent of "Spanky and Our Gang," it was created by local youths to provide a bit of racing fun on the Corsica. 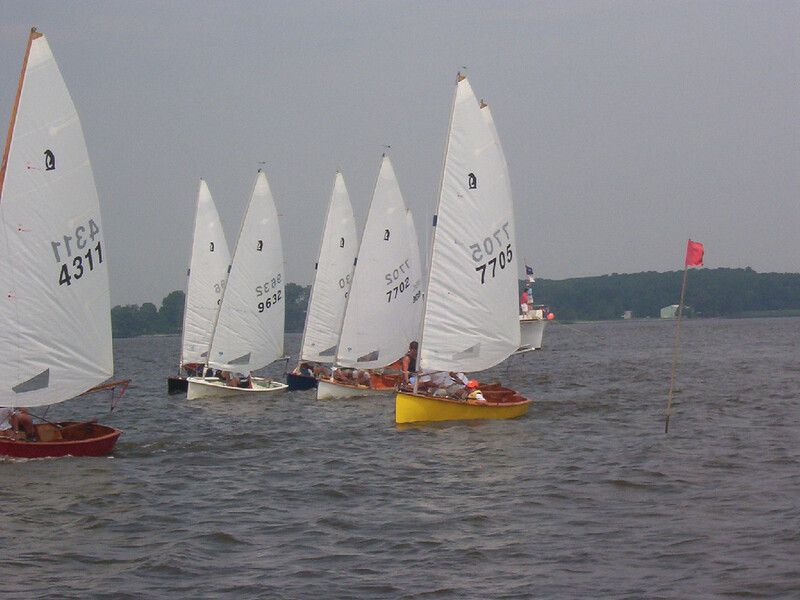 We have continued in that tradition: a club of volunteers, many of whom were CRYC youths, dedicated to making the sailing experience available to the youth of Queen Anne's County. 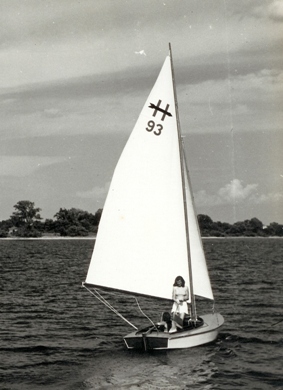 Between the CYC and CRYC, over a hundred years of youth sailing has taken place on Spaniard's Neck; and we've done it without a club house! CYC boathouse on Emory Cove dated 1899 with the names of their boats: "Flying Dutchman," "Elnora," "Apache," "Island Queen." Members were L. Carter, '99, '00, '01, '02; W. Carter '99,'02; A. Harlow; R. Emory. The boathouse was destroyed during Hurricane Isabel in 2003.